Firstly, please note that I am not a fish expert and I am writing this post with what I have gathered from documentaries, literature and talking to fishmongers. We've always known that the world is devastatingly low on fish. If man does not change their ways, one day, 40 years or less, there will be no more fish stocks left in the world - if we were to carry on the way we are carrying on. The story of fish is so huge, and the policies are wildly complicated and there is so much to learn about what is actually going on with our oceans, fish, fishermen, livelihoods and societies. This week, Channel 4 are show-casing documentaries called The Big Fish Fight with Hugh Fearnley-Whittingstall, Gordan Ramsay, Jamie Oliver & Heston Blumenthal to engage and shock the public into their campaign of the awareness of the world's diminishing fish stocks. It was sobering enough to watch the powerful The End Of The Line, a film made by one of our guests, Christopher Hird. "Where has all the fish gone? We've eaten them!" It points out the destruction of sea beds being trawled about 7 times in a year. Imagine if a farm land is trawled so much, how would anything ever grow back? This has completely changed and messed up the sea’s ecosystems. What to do? We love fish, eating fish is just one of the greatest pleasures. But we must do it with so much more consciousness than ever. We often buy fish and discards from Richard Hayfield, the owner of my local fish shop on Broadway Market, The Fin & Flounder. He has been educating Simon and I on how fish is caught, who catches them, where his fish comes from, which sort of boat it was caught on, what is endangered as well as about fish discards. By-catch can be anything from blue fin tuna, dolphins, whales, sharks and turtles but they all have to be thrown back into the sea - dead and wasted. If miles of net is cast into the ocean, you can not help what is being drawn in. Once we bought Tope which is a shark from Fin & Flounder. It was not intentionally caught, it was a bycatch and got caught up in the nets as do all things under the ocean. Of course, we would never use caught shark or any endangered fish but we bought the discards that are allowed to be sold from Fin & Flounder because they were caught on day trip boats, which are small fishing boats –who are only allowed to sell their by-catches. The shark was absolutely delcious - just pan fried. The beautiful fish would have been thrown back into the sea - dead - for the seagulls if caught by anything other than a day boat. To thinks tons of it is thrown back. Richard buys fish from Cornish families. You can view more about here on Hubbub where it all comes from. The day boats don't usually reach their quotas and end up throwing fish away because they target better as they do not just trawl the ocean/ sea. Is this the way forward? He has all knowledge of fish and sustainability and is an extremely interested and passionate about what he does/ his business. We need more fish shops like these, and yes, the fish comes with a price tag, but we mustn't forget that fish is scarce. The price is right for what you are eating. Richard ensures that the fish they sell is sustainable by following advice from local fishermen and recommendations from leading bodies on sustainability. For example, MCS / Pisces Responsible / Seafish. They will always try to source via seasonal, hand dived, day boat and line caught fish and avoid bottom-trawled, beam-trawled or dredged which are the most destructive. The variety of fish in this little fish shop is just inspiring for any keen cook. I love going in there and deciding what to cook for lunch or dinner as a special treat or just meal for one or for the supper club. Sometimes, Richard advises me on any by catches for some experiments and adventures in cooking. We must prevent from buying fish from places like giant supermarkets who only sells about three types of fish: tuna, salmon and cod as if they are the only fish you can eat. This causes so much of a domino effect. The issue is so huge and complex that I am having trouble of where to think, what to write and how to say it. If we are going to eat fish, we have to wipe our consumer ignorance clean, we have got to eat a more diverse range of fish! I may be niave and do not know too much about what is happening. All I know is to throw dead fish back into the sea is WRONG! There are many nations who have nothing to eat at all (sometimes because the richest countries in the world are coming to their shores with massive ships and stealing their fish) and how could that help levels of fish? How could this make sense to any of the decision makers and scientists? 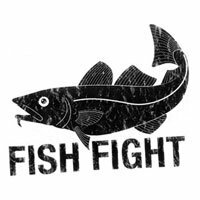 We would like to plea to all our readers to click on this link, Hugh’s Fish Fight and join the campaign. And if you have another 2 minutes, please kindly copy and paste the sample letter on Client Earth’s website, print it and sign it and send it to your local MP to to sign the Fish Fight EDM. You can easily find the name and address of your MP by entering your postcode. Its so easy! Lets try to make a difference.